Finally, a break for parents. 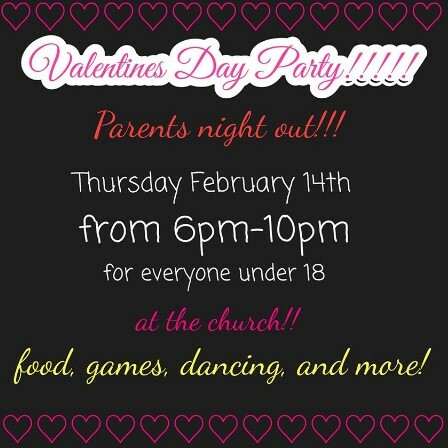 On February 14, the youth will be hosting a Valentines Day Party. This will have hidden benefits for parents. Drop off the kids beginning at 5 P.M. and pick them up by 11:00 P.M. and enjoy six full hours without the kids on your special night out. Complements, the Youth of the COJC.